Postmatic is an ingenious way to “engage your readers at their own pace with 100% email-based commenting”. What I like about Postmatic is, well, everything can be done in your inbox. You receive the latest comment replies in your inbox. You can reply right back from your inbox without ever leaving your email client. Blog posts can also be delivered to a subscriber’s inbox when it is published. 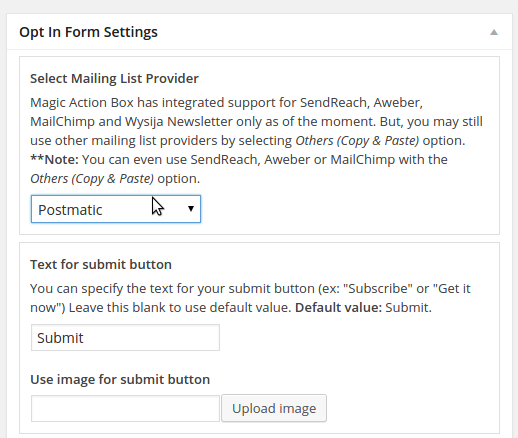 Magic Action Box works with Postmatic to create intelligent signup forms that you can use to send leads to your Postmatic list. Anyway, back to our how-to. You just need to have Postmatic enabled and activated on your website. After that, everything is easy. 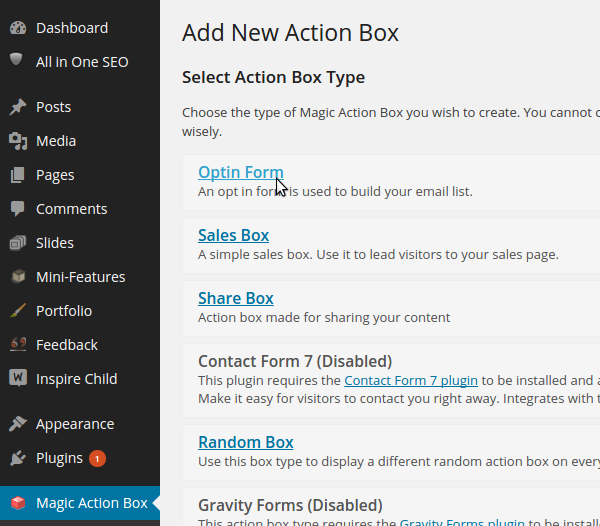 Go to Magic Action Box → New Action Box and select Optin Form. After filling up the Title field and choosing your Action Box Style – which you can change out later by the way – head on down to the Opt-In Form Settings section. 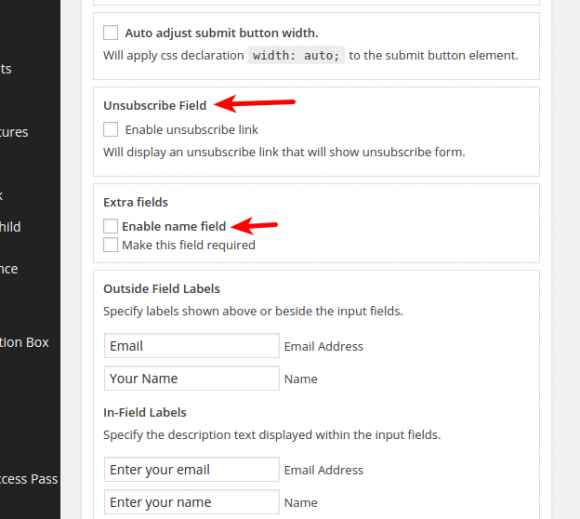 Under Select Mailing List Provider dropdown, choose Postmatic. You can also choose to enable other settings that are optional like showing the Unsubscribe Link – which allows users to unsubscribe. If you want to grab their names too, you can enable the Name field and even make it required. The email field is always required. You can now add your Postmatic sign up form to your sidebar by adding the Magic Action Box widget to your sidebar area or after your post content. Beautiful integration. Thanks so much for all your hard work. We hear daily from our users that they love it. Cheers! You are welcome! Postmatic rocks!